How’s this for going back in time in the age of now? My second guest on #measurePR (all the way back in February) was the inimitable Sean Williams. If you’re a measurement geek and don’t know him… you should. Not only does he have one of the brightest minds in our field, he has one of the brightest minds, period. 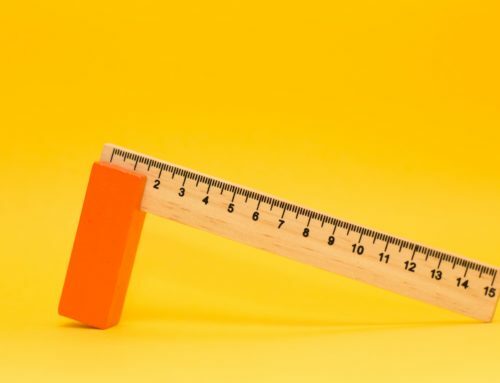 I was lucky that Sean was willing to take some time out of his day to sit in on the chat when it was just a couple of weeks old, and he shared his thoughts on measurement, PR and ROI. Since Sean teaches on Tuesdays and was held up joining the chat, we chatted among ourselves for a bit, and shared our pet measurement peeves. 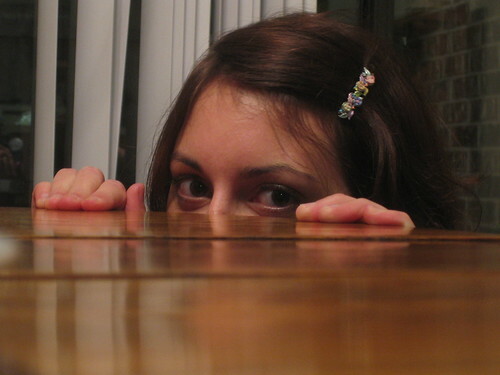 Not surprisingly, the continued use of AVE, lack of benchmarking and “quantity v. quality” were common causes of angst. 1. Lindsay Allen, on the value of proprietary formulas such as Cision’s “publicity value: “… they… wouldn’t/couldn’t tell us much about how it’s calculated since the formula is proprietary.” To which Sean replied that it needed academic review (which, IMHO, all formulas – btw, does anyone use ‘formulae‘ any more? – should be). Sean went a step further to say his biggest pet peeve was proprietary methods, of which he wants one, so he can make money (don’t we all?! ), but he’d want it independently reviewed for accuracy and value. Rebecca Denison, whom I’ve profiled before, perceptively pondered whether folks sign on for a proprietary formula because it’s better than nothing and they’re under pressure to do so. 2. I asked Sean for his take on the difference between AVE and “weighted media cost,” to which he posited an extremely diplomatic answer. For what it’s worth, I think highly of the folks who authored this paper, but am still making my mind up about the measure. To learn more about WMC, I suggest you read this paper on the Institute of Public Relations’ site, Katie Paine’s opinion (y’all know she’s my guru, right? ), and Sean’s own musings on the subject. 3. Sean reminded everyone to do something so simple it’s unbelievable that most don’t: Set Measurable Objectives. 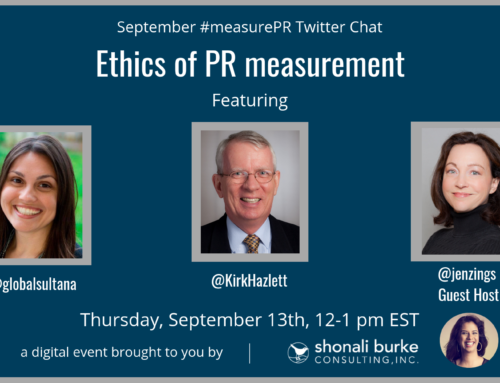 The second #measurePR chat transcript is yours for the asking. Do have a read through when you’re at a loose end (or, as I like to say, in your copious free time). I think you’ll enjoy it. What I can share, though, is a video of Sean talking about measuring internal communication, which I grabbed when I was in Cleveland a few weeks ago speaking to IABC/Cleveland (which rocks and you should join, if you’re in the area, btw). And if you’re interested in internal communication, you should follow #icchat, which Sean hosts along with Susan Cellura. How’s that for a bonus? Enjoy! And do join us from 12-1 pm ET tomorrow when we’ll be chatting with Chuck Hemann on measuring social media.